!Claro! is the only Key Stage 3 Spanish course written specifically to prepare students for the rigours of the new GCSE specifications. 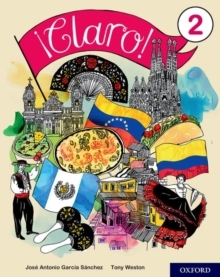 Its accessible to all abilities, packed with fresh, lively content and written by a dynamic team of authors who believe in immersing students in Spanish-speaking cultures.